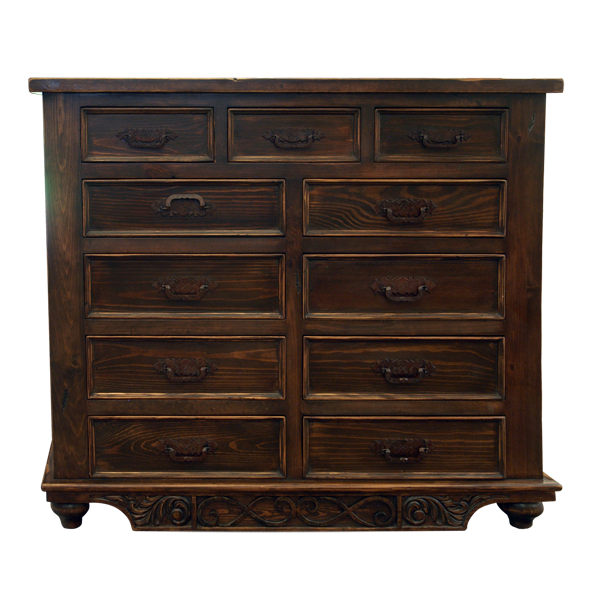 With its dark brown, antique finish, this versatile, handcrafted, Western style dresser will easily blend with your existing Western decor. The dresser has three, small, vertical, rectangular, top drawers, followed by eight, large, spacious, rectangular drawers. Each drawer has a hand forged, iron handle in its center. Its straight, classic top rim is repeated in the design of the base of the dresser. Each side of the dresser has a decorative, geometric cut panel, and under the base is a solid wood apron with curved ends. 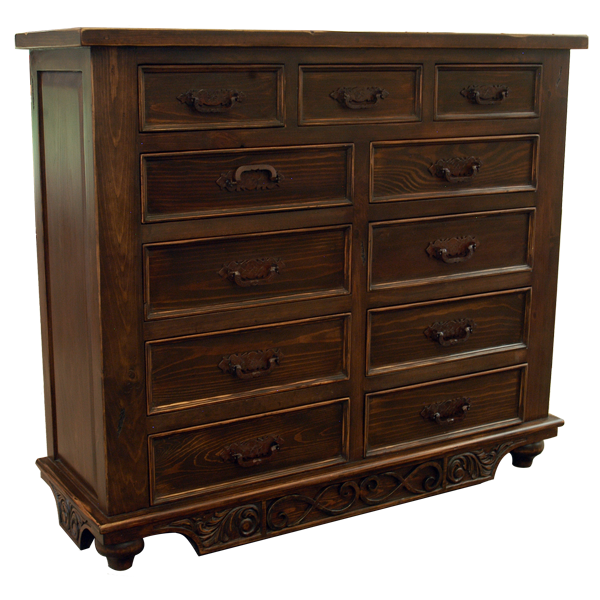 It rest on hand turned, tapered, bun style feet, and the dresser is made with the best, sustainable, solid wood available. It is 100% customizable.